As one of the first Catholic cartoonists to gain a following online, my comics remain my primary source of name recognition. My Facebook page has 11,000 page likes and counting, and many of my comics have gone viral, with my most popular comics being shared thousands of times each. I have also been featured in various media outlets, including Buzzfeed, American Thinker, and EWTN News Nightly. 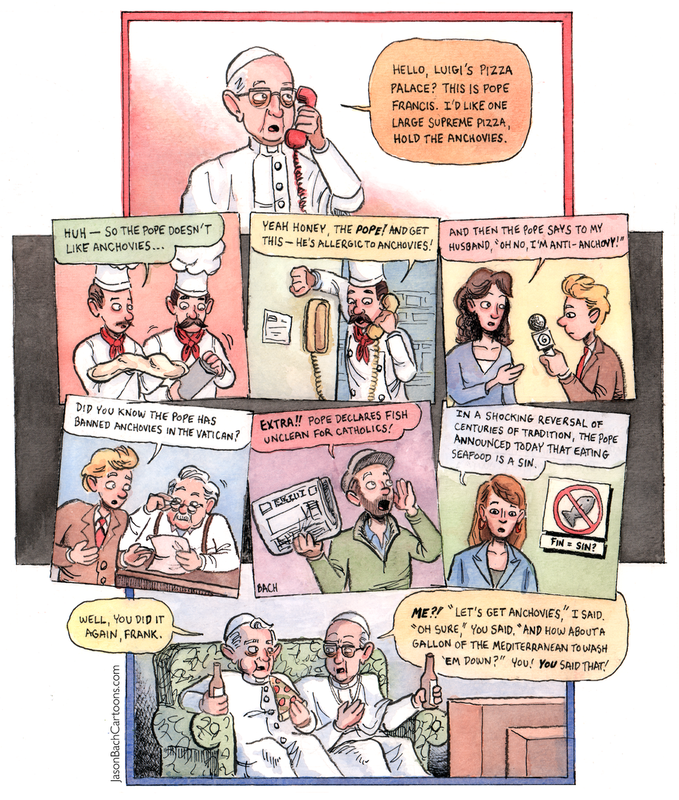 My most recent project is a hardcover Catholic comic book, which raised over $12,000 on Kickstarter.